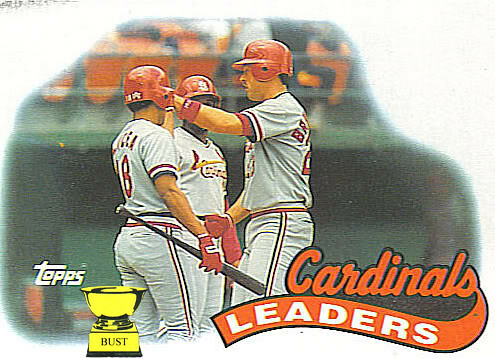 A Cardinal sin: No one on the Cardinals liked Tom Brunansky. He belittled teammates, insulted fans and, worst of all, he had a penchant for violence. Brunansky's violent streak even came out in times of celebration. After hitting a home run off Pirates grease-ball Bob Walk, Brunansky, above right, touched home plate and simultaneously punched infielder Luis Alicea in the nose and outfielder Curt Ford in the midsection. "Take that, peons," Brunansky yelled through a mouthful of chew spit. "Make way, this Cardinal is spreading his wings!" Fun fact: The above photo was taken through the perspective of Cardinals manager Whitey Herzog, who saw the whole world as if it were shaped like a 1978 Ford Fiesta.